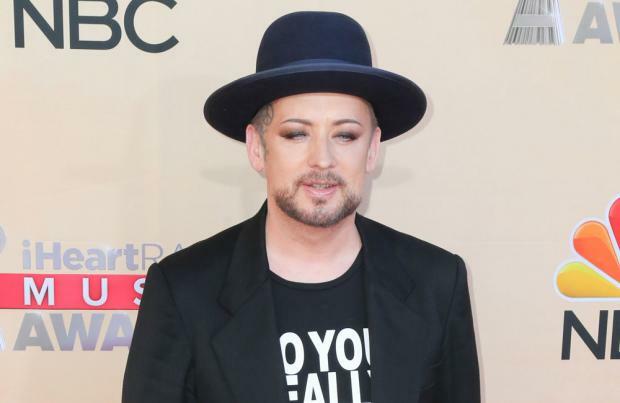 Boy George wants to perform a residency in Las Vegas. The 57-year-old Culture Club singer is keen to follow in the footsteps of the likes of Britney Spears, Celine Dion and Sir Elton John and find a home for his music at one of the hotels but he has an idea to play a show without the razzmatazz associated with Sin City and instead make it "stark and shocking". Speaking to the Las Vegas Review Journal newspaper, he said: "I want to do a string of shows, a residency, in Las Vegas. But I want to do something different – and I don't know what that will mean. It has to be the opposite of glitz and lights, opposite of acrobatics. It has to be bare, stark and shocking and emotional. I want a bit more dystopian Las Vegas that is specific, where there is no 'vague' in Vegas." Culture Club – also comprised of Jon Moss, Ro Hay and Mikey Craig – are getting ready to release their new album 'Life' on October 26 and they are then heading out on 'The Life Tour', which will also feature Belinda Carlisle and Tom Bailey from the Thompson Twins. George – who reinvented himself as a house DJ in the 90s – admits it's exciting to be bringing out their first studio album as a band for 19 years because he didn't want the group's reunion to be all about "nostalgia". The 'Karma Chameleon' hitmaker said: "In any creative form or art – whether it's ceramics, painting, writing, making music – if you have nothing new to say, you are wallowing in nostalgia. That would be hell. Our message is multiculturalism, and that is as prevalent now as it was in the late-1970s and early 80s. "We have come full circle, expressing that we want to live in a tolerant world, and even if we are performing for people who have entirely different views than us, we treat them with love and kindness." Culture Club formed in 1981, split in 1986 and reformed numerous times, most recently in 2014.